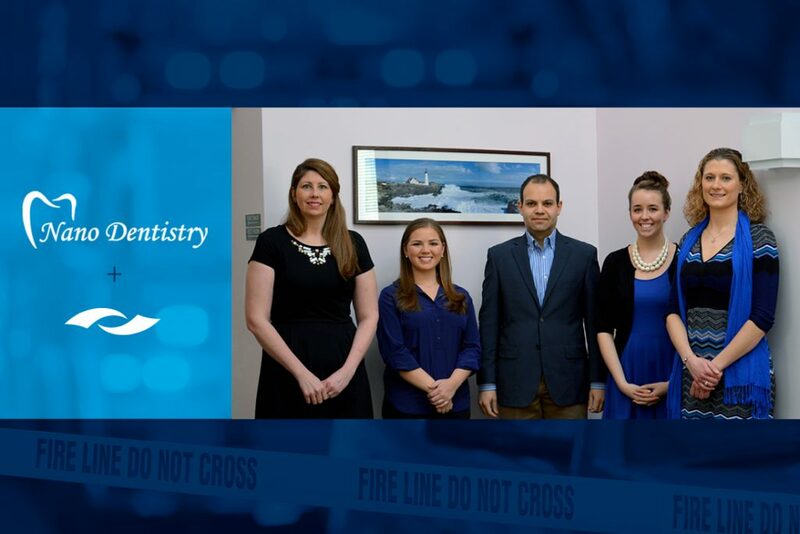 After a fire destroyed much of his practice, Dr. Safwan Joseph Nano was up and running just two weeks later. On the night of December 30, 2018, most people across the country were settling in for the evening, perhaps anticipating their upcoming New Years’ Eve festivities. 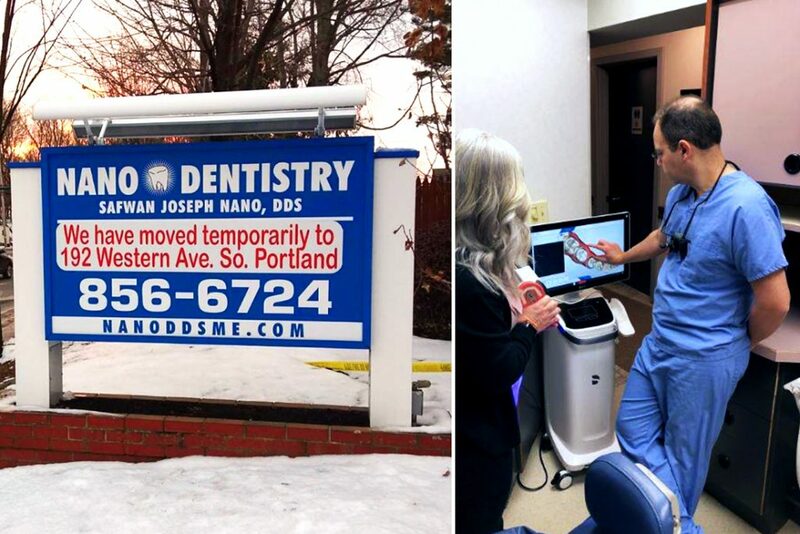 But for Dr. Safwan Joseph Nano, a peaceful evening in South Portland, Maine was cut short when his brother alerted him that an alarm had been triggered at the office of Nano Dentistry. A faulty light was to blame, but by the time Nano arrived on the scene, teams of firefighters swarmed around his building to contain a blaze that had reached his oxygen tank and turned a small blaze into a serious problem. Nearby roads were closed. As local news teams arrived on scene to document the event, Nano had the presence of mind to make vital phone calls. Family. Insurance. Patterson. For over 13 years, Nano had relied upon Patterson Equipment Specialist Dennis Martin for a variety of needs. So when Nano called on a Sunday night at 9:30 p.m., there was no surprise when Martin answered the phone. And just like that, as the fire consumed the practice he’d built, recovery plans were already underway. The first stroke of good fortune came in the way of a nearby vacant dental practice that had been on the market for months. Nano and Martin did a walkthrough just two days after the fire and determined the space was move-in ready. Chairs. X-ray units. They quickly closed the deal and coordinated with the elated office team to started moving equipment. There was no time to lose. With the temporary space secured, it was time to start contacting patients. Thanks to their onsite data backup, they were able to quickly retrieve Eaglesoft practice management and all patient data. It would be fair to say that patients were equal parts mystified and over the moon when Nano Dentistry was calling to confirm appointments just seven days after suffering a debilitating loss. Nano loves working with the latest technology. In his former practice, he installed the full range of Dentsply Sirona innovations, from Omnicam to Orthophos. And while he temporarily lost his practice home, he was able to work with Patterson to get loaner equipment moved onsite and maintain the highest-possible level of patient care. And while Nano had no prior plans to add to his assortment of advanced equipment, the unforeseen circumstances allowed him to onboard CEREC Primescan AC – the newest scanning unit from Dentsply Sirona – unveiled in early February. Now, filled with gratefulness and hope, Nano is looking toward rebuilding his old practice. In fact, since it wasn’t a total loss, he’s working with a local contractor and his Patterson team to inhabit the same space in late 2019. But with the way he works, it wouldn’t be wise to bet against an earlier date.